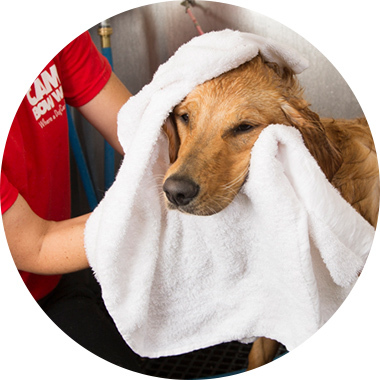 Contact us at (410) 885-6445 to learn more about our dog grooming services. De-Shed Shampoo, De-Shed Conditioner, Furminator Brush Out, Blow Dry and Cologne. Shampoo, Conditioner, Seasonal Scent, Blueberry Facial, Triple Step Brushing Treatment, Nail Dremel, Blow Dry, Brush, Cologne.